11:04 AM Currently the weather in Addis Ababa is 68 and rainy. Rain or shine, Ethiopia here we come. From our house to yours, Mahalo (thank you) and Aloha (goodbye). I shall hear that great Amen. What have you lost, my friend? A parent? A son? A daughter? A special relationship? Perhaps you are estranged from someone you love dearly. 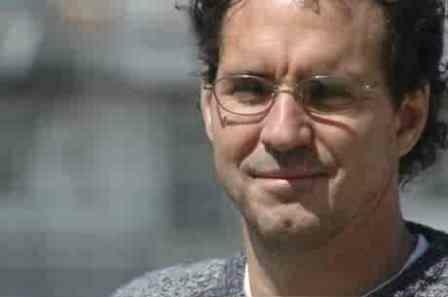 Larry Crabb was right in his book Finding God: In even the happiest of lives there are deep pockets of incurable pain. That's true of you. It's true of me. Jesus Himself was once called the "Man of Sorrows." In these trying and baffling times, God is with us. He sends us trouble and heartache to enable us to glory in Him. 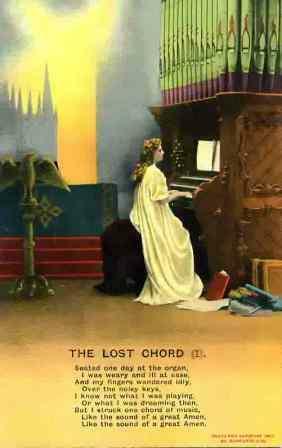 Let's look to the Lord for grace to release our "lost chord" to Him. It may be that only in heaven we will hear that grand "Amen" again. But hear it we will. 6:16 PM It's done! And boy am I glad. Even the neighbors stop by and stare in open-jawed amazement. I think I know how Noah must have felt. They haven't seen a barn made out of rough sawn lumber, cedar posts, pine poles, etc. in a very long time. Hey, crude but effective. I think this deserves "Chinese" for supper. (1) Yesterday we sat down to eat supper at 10:10 pm. Life has been just that busy. Today is dedicated to making our final trip preparations. (2) My number one goal today is to help Nathan get the framing done for the gable roof on the new barn so that he can begin putting the tin on while I'm gone. The Lord is blessing us with a good crop of hay this year (Nathan picked up another 105 bales yesterday), so every inch of storage space is needed. (3) The weather has been very hot and sunny. I may arrive in Africa looking like a real Ethiopian ("Ethiopian" comes from a Greek word meaning "burnt face one")! (4) Several people have already written to us and told they us they would be praying for the team. Much appreciated, I can assure you. (5) Our son Bereket's cataract surgery was postponed several times in Addis. It has been rescheduled for today. Send up a prayer for him if you think about it. (6) Don't forget that I will be incommunicado for over four weeks, starting tomorrow morning. You might want to hold off sending us emails until after we return on the 28th of June. 7:42 AM Last night we drove up to Charlotte Court House to have supper with Matt and Liz Rondeau, who just moved into the Mount Tirzah Baptist Church parsonage. On the way there Nathan noticed a sign that read "Pit Beef" for sale, obviously referring to meat cooked in a pit oven. His remark gave us a good belly laugh: "Must have come from a pit bull." Never a dull moment. 7:36 AM I've received the class rosters for my fall classes. If you are in one of my 3 courses, I've begun praying for you by name. If you want to get a head start on your classes, I might suggest that you (1) copy off the course syllabus from the seminary website, (2) purchase the textbooks early, and (3) get started reading. If you are taking my Jesus and the Gospels class, you will want to read anything that has to with the Gospels. If you are taking Greek 1, why not learn the alphabet and become familiar with the basics of Greek grammar? If you are in my Ph.D. seminar on Greek linguistics, I have already started placing books and other materials on reserve in the library for you. For some of you, of course, the best preparation you can do this summer is to lay off the books completely, take a long break from studying, and get reacquainted with your family. 7:29 AM Since I'll be away in June, I took everyone out to Mexican food yesterday to celebrate Father's Day and my birthday. Becky and I had worn our Ethiopian T-shirts to church (shirts: courtesy Bethel Hills Baptist Church). Do we look like missionaries yet? 7:42 AM The latest addition to our home page is called John 3:16 and Me. 9:38 PM I did very little farm work today because of a gimpy leg. Instead I read several books, including one called Margaret of Molokai, which had been sitting on the bookshelf in our library at the Hall for years but which for some reason had escaped my attention. It tells the story of a 12-year old girl who was taken from a hula recital in the Honolulu city hall to exile on the island of Molokai. For 33 years she watched her body scar and shrink from leprosy. Over those years she lost 3 husbands to that disease. Her 4 children were taken from her at birth and delivered to adoptive families on the mainland. She thought she would never dance the hula again. Later she was declared healed and found a loving family at Kalihi Union Church in Honolulu. As I read the final chapter there were tears of wonder and joy at the goodness of God. On the lighter side, it was fun to read a book with so many Hawaiian and Pidgin English words and expressions in it. I do miss the Islands, the language, the people, the ethnic diversity, even the food. I noted with a smile that Margaret's favorite "plate lunch" (a popular noontime meal in Hawaii) happened also to be mine: 2 scoops of rice, macaroni salad (Hawaiian style), and teriyaki beef. Incidentally, we have a student here at SEBTS who hails from Molokai. It was fun talking with him recently and hearing his thick Hawaiian accent, the kind I had when I first arrived in California in 1971 when nobody could understand me. I have only seen Molokai from the air or while sailing, but one day I'd love to visit the island and see the leprosarium there. For more information about this amazing story, go here. 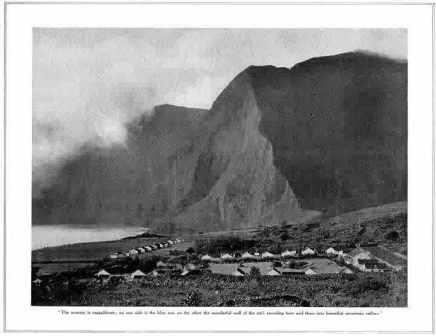 Below: The Leper Colony on the island of Molokai, Hawaii. 8:41 PM A warm welcome to Karis Delong. What a winner. Mark and Megan, you are blessed!!! 8:13 PM Every year we watch Tora! Tora! Tora! on Dec. 7 and The Longest Day on June 6. Since I'll be gone in June, I started watching the latter movie last night. Here's what I like most about the film: 1) the Germans speak German and the French French; 2) the realistic battle scenarios (especially the attacks on the Orne River canal and the Casino); 3) the number of character actors in the movie; 4) the slight anti-war undertone of the film (especially the last few lines); and 5) that it was filmed in black and white. The movie deserves a rotten apple for the scene in which you can see a camera shadow during the attack up Omaha Beach. General Marcks (right) is one of my favorites in the movie. His lines such as "Das liegt zu sehr auf der Hand" ("That's too obvious") are classics. He was one of only a few German generals who deduced that the allies would land at Normandy and not the Pas de Calais. 5:26 PM A big Friday shout-out and tip of the kepi to Mr. C. K. for earning the 110 Award on his Greek final. He did this three times in a row this semester. I believe this is a first in all my years of teaching. (1) Yesterday we almost completed the flooring to the new hay barn but ran out of floor boards. I must have pounded several thousand 16-penny nails. Nathan too. All of this on hands and knees. Needless to say, my 54-year-old knees and assorted other leg muscles are talking to me today. Thank God for Naproxen. The next step is to complete the roof framing, roof slats, and roofing tin. The weather has been great -- dry and in the upper 80s. I'm beginning to turn the color of my name. (2) Nathan had a double whammy today -- not 1 but 2 flat tires. One on his tractor as he was cutting hay, and the other on his Hardee trailer. The tractor tire was of the huge back wheel variety. Poor guy. Yet he took it all calmly. The big challenge now is to order another tractor tire. If it gets here on time, we hope to get up another few hundred bales before I leave for Ethiopia on Wednesday. (3) There are roses, roses, roses everywhere on the farm. Pink, red, white. If you've ever wondered where we got the name "Rosewood Farm," now you know. Most of the bushes were planted by us when we moved here several years ago. It's fantastic to see their fruition. 5:02 PM What a wonderful commencement service we had today at the seminary. President Akin gave a powerful message on taking up our crosses and following Jesus radically. Today I had my German Bible with me. I like how it rendered one of the verses discussed: "If anyone wants to come with me [the Greek verb normally translated "follow" does not mean to walk behind somebody but instead to accompany him], he must no longer think about himself." That's what it means to "deny yourself." Just don't even think about yourself! "Esteem others as more important than yourself," as Paul would put it. What a selfless Savior we serve. Afterwards Becky and I attended a couple of graduation parties. We have some very special students here at SEBTS. In fact, they're all special. And here's a nice serendipity: As the faculty walked across the courtyard from the administration building to the chapel, all of the graduates began to applaud. It was a completely spontaneous expression of gratitude. In 30 years of teaching I have never experienced such a thing before today. It sent chills up my spine. I have to pinch myself every time I realize that God has blessed me with the privilege of teaching the most wonderful students on earth. 11:58 AM The latest addition to our home page is called Thoughts of a Roving Missionary. 11:50 AM This is our last week of the semester and I’m already missing my students. Not only them. I will also miss the interaction with my faculty colleagues. The fellowship we enjoy as a faculty is rare and wonderful. There’s a good deal of levity among us. One of us is our resident ecclesiastical Bob Hope (I’m not saying which one!). Another one expresses himself in language reminiscent of the homespun philosophy of Will Rogers. But beneath all the fun and hair-letting is the greatest respect and affection for each other. We are all quite lovable – but ordinary – human beings, sinners struggling in the power of Christ to be saints. We are, each one of us, all about global missions, that I do know. It’s another illustration of how people with such divergent views on secondary issues can unite around something much greater than them. The problems with a high-priest presidency are two-fold. First, opposition to the president and the nation he (or, I suppose, she) isn’t just treason – it’sheresy. Religions, even ones cobbled together from junk, can be brutally intolerant of heresy. Second, the high priest isn’t really accountable to the people, he’s accountable only to God. (And, to be fair, the prophet isn’t accountable to anyone but God either.) He stands in front of the people but faces the altar, rather than at the altar facing the people. We are his to dispose of, and our wills, our desires – our persons and our very humanity – do not matter. Elected officials are not our leaders, they are our employees. We are Americans. Americans don’t elect leaders. Our leaders come from among us as they did in the 1770s and the 1860s. Bush isn’t our boss, he’s our butler. Senators such as John Warner and Charles Schumer aren’t our generals, they’re the janitors of our system of government. Elected officials are the housecleaners, scullery maids, cooks, dishwashers, gardeners and toilet scrubbers of our society, not the bosses or supervisors they pretend to be. We are indeed to pray for our leaders, but let’s first identify who they are. One good rule of thumb is that if they draw their pay from the public treasury, then they aren’t leaders, but employees. I’m sure the writer meant no disrespect. It is not anti-American to advocate constitutional government or to speak out against the social engineering philosophy of the New World Order in Washington. 11:34 AM When my Thoroughbred Traveler and I first moved to rural Granville County in North Carolina, I would take him cross-country riding. On one occasion we rode into a large oval-shaped field whose edges had just been “bush-hogged” or cut by a large mower. Seeing that oval shape, Trav responded with a lurch that almost took my arms out of their sockets. I clung to that former race horse as closely as a tick to a dog, but for a few moments he was back on the track and determined to win his imaginary race. I was just a passenger, dead weight if you will. That incident is a vivid reminder to me of why a knowledge of the biblical languages is so important for anyone who wants to teach the Bible. Just as a spirited horse needs to be handled by someone physically able to do so, so the Word of God must be interpreted in a way that is accurate. I am not saying that we ought to get bogged down in meaningless trivia about the text. I’m not talking about going to church with an empty notebook and coming out with a full one. You know, “Now the fortieth thing I want to say about this Greek verb is….” We’ve all heard messages like that! The other side of the coin in this: teaching the Bible is a sacred trust and should never be reduced to miscellaneous comments about religion mixed in with a few scattered texts. We who labor at preaching and teaching should strive to our utmost to understand the Word of God in its original historical, literary, and linguistic context. Why I am saying this? I hope and pray that all of my beginning Greek students will do their best to continue their Greek studies, whether it is through self-study or by enrolling in intermediate Greek. This will help you to exercise to the full the stewardship of your gifts as teachers of the Word of God. And remember: once a student, always a student. Let me know how I can help! 11:21 AM We leave for Ethiopia in one week, and we’ll be gone for a month before I turn around and head for Ukraine. The thing I miss the most about leaving the farm? Working on our various projects. I know I “complain” about all the work farming is, but I actually do enjoy it. It not only keeps me in great shape but allows me to invest in the future of the property for succeeding generations. For example, the hay barn we’re building. Or the fencing we completed this year. Or the famous chicken mansion. Or all the outbuildings. Or Bradford Hall itself. But the main thing is the fellowship that life on the farm affords. Just working together. Planning together. Groaning together. Getting up hay together. Like we did on Monday. We started at 4:00 pm and stumbled into the house at 9:00 after putting up 234 bales in the barn. Then I cooked “Chinese” and we sat down to eat at 10:00 pm. Ice cream at 10:30. Bed at 11:00. What a life. What a good life. Here are some pix from Monday's work. It's Nathan job to bale. It's mine to pick up the bales and stack them on the trailer. We found these turkey eggs in the grass we had just cut. One of our hens is now sitting on them. My (fleeting) moment of glory. 115 bales in one trailer load. A new farm record. Like I said, I sure will miss the farm. 11:14 AM Yesterday I met for the last time with my grader for the past two years. We calculated final scores and then I took him to the local Mexican eatery. Emanuel Cakpo hails from Benin and has been an indispensable asset to my work here at the seminary. He hopes to return home shortly to begin a Christian university among his own people. I will miss his smiling face and servant’s heart. God bless you, brother, as you write the next chapter of your life! 1) I must be careful to affirm Jesus’ lordship over everything, including the totalizing claims of the state. 2) I must believe, preach, and suffer for the Gospel. 3) The mission of the church is to bear witness to that Gospel, not to transform culture. 4) The offense of the cross must never be watered down to satisfy the world. 5) The church must not allow itself to be co-opted by the religious arm of the state. 6) I must put Christian fellowship above political loyalties. This issue can take anyone out from any place abroad. Dave got sick from the King David hotel in Jerusalem, a very nice hotel favored by diplomats; but he ate a fresh green salad! He passed out the next day on top Masada. So pay attention...prevention is always better than cure. If is doubt, don't eat it, and don't bend the rules for any reason. It’s true. I really did pass out atop Herod’s old fortress. I’ve been much more careful about what I eat since that horrifying experience. 10:55 AM My colleague Frank Catanzaro will make his first trip to Israel next week (Frank and I will be on a team going to Ukraine in July). He tells me he’ll be riding the bus from Tel Aviv to Eilat. I assured him he’s in for a real treat. Becky and I once took the public bus from Jerusalem to Cairo. Yes, I said “public” bus. Now that was an experience! 1:02 PM I've been praying for the weather to hold until we baled this afternoon, and it looks like that will happen. Nate has just finished raking about a third of one of our larger fields, so we'll start baling shortly. Rain is expected later this afternoon, but so far so good. I'm grateful to God for answering my prayers for good weather. Answers to prayer are always worth mentioning. How many bales do we expect to get up today? A similar section of the field yielded 240 last week. 7:33 AM The latest addition to our home page is called Creedal Or Deedal Orthodoxy? 7:30 AM The current debate over Ron Paul's "anti-Americanism" reminds me of a public swimming pool -- most of the noise comes from the shallow end. Here's an exception. 7:23 AM I'm sitting here at the computer basking in the goodness of the Lord Jesus and feeling amazed at how well He is orchestrating our trip to Ethiopia. In the past week I've sent out 5 thank you notes to people or churches that have contributed to this or that need over there, and the week before I sent out another 4 notes. Gifts large and small continue to come in, none of them directly solicited by us, though we have gladly made the needs known via our website. Last Wednesday, for example, the North Roxboro Baptist Church invited us to return and share in their midweek service, which was dedicated in its entirety to Ethiopia. The Bethel Hill Puppet Team put on a wonderful and humorous show about this summer's trip, a poem written especially for the Bethel Hill team was read, Becky shared through slides and words what each of the 9 team members would be doing in Burji, and finally the church presented us with a sizable check to help the Burji church. The service concluded with the laying on of hands and a special prayer for all of the team members. Then on Friday night we attended a birthday celebration in Roxboro for one of the Bethel Hill team members named Mary, who just turned 80. More than 200 people showed up to wish her well and to testify to the love she had shown them through the years. I could go on and on. Time and again Christians have demonstrated their love for God, their unity, and their love for one another by their generous giving and sharing. The result is the spread of the Gospel throughout Ethiopia, even among people normally unresponsive to the Good News. Like the sound of a trumpet, the message about Christ's love continues to be proclaimed far and wide in that historic land, and many have responded, leaving the worship of false gods and idols and turning to worship the true and living God. All I can say is how grateful I am both to God and to you for your participation in the Gospel from the first day until now. Your sharing of the labor with us is proof that God is at work, and surely He will continue this good work until Christ's return. What a joy to proclaim Him, supreme over all creation, sustainer of the universe and head of the church! What a joy to seek to present each believer mature in Him! As Hebrews reminds us, we worship God by offering unselfish service to others (Heb. 13:10-16). It is sheer joy laboring with Christ's Body in doing this work, and I am deeply grateful to all of you for your love for Ethiopia. Below: Brother Ben Durand of North Roxboro Baptist Church presenting Becky and me with a love offering for the Burji evangelists. 7:49 AM The ancient Jews had a saying: "There are six things, the fruit of which a man eats in this world and by which his horn is raised in the world to come." The list begins: "Hospitality to the stranger and visiting the sick." For years our church has had a ministry in the local nursing home, and I eagerly participate whenever I'm in town. This morning is no exception. No one is ever surer of Jesus' complete identification with men than the one who is visited in a home or a prison. 7:41 AM My message at Tabernacle Baptist Church this morning will be taken from Joshua 3 -- the crossing of the Jordan River. Only 4 verses describe the actual crossing, while 55 verses describe the preparation of the people for the crossing. Where do you think the Lord puts the emphasis? I once heard this statement: "It is better to be prepared and never called, than to be called and not prepared." 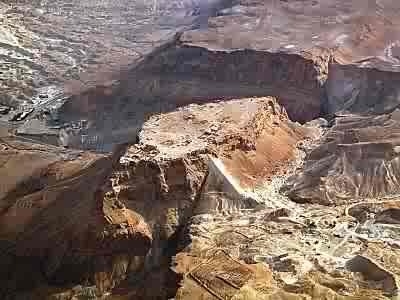 What did the Israelites see when they looked at the Jordan Rover valley for 3 long days, and what does that teach us about living the Christian life? It should be a fun service. 8:22 AM I recently heard a student complain about the grade his grader had given him. Note: His grader, not his professor. 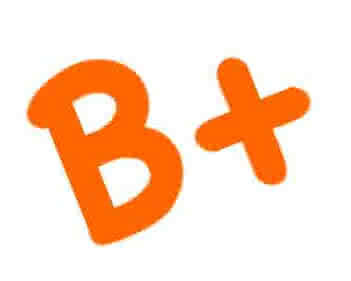 For what it's worth, I offer my thoughts about grading here. There’s simply nothing invisible or ambiguous about the kingdom of God. It always looks something like Jesus, dying on Calvary for the people who crucified him while praying, “Father, forgive them.” When God reigns, it always manifests Calvary-quality love. The kingdom is present whenever people are getting their life from Christ alone and therefore are increasingly looking like Jesus, doing what Jesus did, and obeying what Jesus taught. 8:12 AM Kevin Stilley lists some of his favorite college and seminary blogs here. "Divine services performed here three times daily." 8:00 AM It's hard to believe, but this weekend my Greek students are completing their final take-home exam of the year. I am really excited about their progress. I have no doubt that many of them will earn a well-deserved semester grade of A+. Incidentally, I'm told that I'm one of only a handful of teachers that give take home exams. I've been doing it for years. Do I trust my students, you ask? Yes. Have they ever taken advantage of my grace? Undoubtedly. But here's the deal. I tell them that if they cheat, even if I don't know about it, the Lord does, and His Holy Spirit will be all over them until they make it right. But as to trusting my students to do what is right, the answer is: I most certainly do. They know how much I love them and how much it would break my heart if they should ever take advantage of my trust. 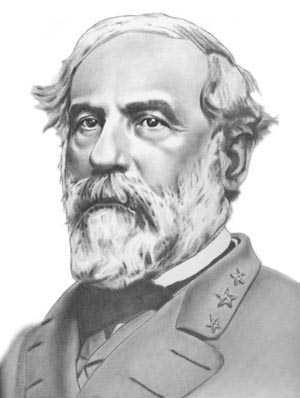 The story is told of when Robert E. Lee became president of Washington College after the war and had a chapel built on campus. Everyone wanted to know: Will President Lee require chapel attendance? His answer? No. Lee's emphasis was on duty and trust, not coercion: "You don't require students to worship God," he said. Chapel attendance never suffered, largely because of the president's own example of never missing chapels. I tell my students, "We have one rule in this class: We must all appear before the judgment seat of Christ. Act accordingly." 4:40 PM I'm sorry to report that Nathan has lost one of his bull calves. Heartbreaking. This is the hardest part of homesteading, no doubt about it. But I've also got some good news. Today we finished the floor joists. Which means we can start the flooring tomorrow. Sound the trumpet in Zion! 9:54 AM Heartiest congratulations to one of our students (he knows who he is!) who has just been accepted into the M.A./Ph.D program at Hebrew University in Jerusalem. He joins several of our recent graduates who have gone on to prestigious universities for their doctorates. This week I spoke with yet another student who is praying about a European doctorate. In fact, he desires to study in a German-speaking institution, either in Germany, Austria, or Switzerland. I say, Go for it! If the Lord Jesus wants you there, He'll provide for your every need, including the finances. Of course, if you want to stay stateside and get your Ph.D., I'll be your greatest cheerleader too. 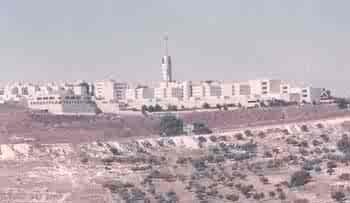 Below: The campus of Hebrew University on Mount Scopus. I never studied there, though I did have the wonderful opportunity of taking a couple of classes at Jerusalem University College on Mount Zion. 9:40 AM We emailed these sentences to our Ethiopia team members who will be teaching English this summer. Thought they'd like to use them in their classes to show their students just how "easy" English is. 9:33 AM In my younger days I used to do a lot of portrait drawing, just for the fun of it. In my office hang several of my drawings, which function as a sort of History Rorschach Test for guests. Below I've posted a few of my pictures, in case you'd like to play along. Most people get stumped by two or three of these portraits, especially the last one. 1) I took Shiloh back to the vet today and he passed his exam with flying colors. He'll stay on antibiotics for several more days, however. He also has to go back on Monday for some dental surgery. Like his beloved master, Shiloh has not been blessed with the best of teeth. 2) Today Nathan and I hauled out 3 more huge cedar posts from the woods. Except today we got smart and hooked them up to the tractor by chain and dragged them out. Not why didn't anybody think of that on Monday? We set all the posts and placed all the rafters for the floor. Tomorrow we'll install the pine posts and start laying the floor boards. That's our goal at least. 3) This morning Becky Lynn heard some tapping on our downstairs window. When she went to investigate, here's what she found. We think the wind must have blown down an owl nest from an upstairs eave and somehow 2 babies ended up on our front porch. Little Miss Calm has just sat there all day. Her brother, Mr. Tough Guy, spread his wings and hooted and hollered at me before leaving in a huff. 7:56 AM Wheaton College announces three openings in theology. Incidentally, the Wheaton website has published a number of excellent essays, including several on its Center for Applied Christian Ethics page, including this one (.pdf) on just war theory. 7:50 AM This just in from the 10 O’Cluck [sic] News Room. Michael Scheuer, the former Central Intelligence Agency specialist on bin Laden and al-Qaeda, has objected to simplistic suggestions by President Bush and others that terrorists are motivated by an ill-defined irrational hatred of the United States. "The politicians really are at great fault for not squaring with the American people," Scheuer said in a CNN interview. "We're being attacked for what we do in the Islamic world, not for who we are or what we believe in or how we live. And there's a huge burden of guilt to be laid at Mr. Bush, Mr. Clinton, both parties for simply lying to the American people." During last week's Republican presidential debate at the Ronald Reagan Library, Rudy Giuliani cited the 40th president as a model of fortitude in dealing with enemies. Among "the things that Ronald Reagan taught us," he declared, is that "we should never retreat in the face of terrorism." No one present was impolite enough to mention that far from spurning retreat in the face of terrorism, the Gipper embraced it. After the 1983 terrorist bombing in Beirut, which killed 241 American military personnel, he recognized the futility of our presence in Lebanon and pulled out. Agree or disagree, let’s all agree that God doesn’t hate Muslims and that we have a responsibility to share the Good News with them. I am neither pro-war nor pro-torture (on the one hand) nor pro-gigantic “peace” drives nor pro-the countless utopian projects blessed by clergymen (on the other), as these often set out to do one thing while God is out to do something else. As Jerry Falwell said in a 1965 sermon, “As far as the relationship of the church to the world, it can be expressed as simply as the three words which Paul gave to Timothy –‘Preach the Word.’” Having lived and ministered among a people group in Ethiopia that is 99 percent Muslim (I'll be with them again in just 4 weeks), I can say that they don’t hate Americans per se. Which leads me to ask: Why were the first believers called Christians? Because they were identified, not with a political philosophy, nor with a program, nor with a personality, but with a Person. They weren’t perfect people but they were different. And it was their love for people – all people – that made the difference. 7:30 AM Here’s a good story that reports on how important the coffee trade is to Ethiopia’s economy. 7:25 AM Look what’s playing in the West End of London. Go here for a review. I hope it plays soon on stages stateside. The moor the merrier. 7:21 AM Steve Sensenig makes some excellent observations about Emperor Constantine over at Theological Musings. I share many of his concerns. There’s no easy solution to the problem, other than a radical return to the faith of the apostles. 7:19 AM Here is one of the best sites I’ve seen on the famous Great Escape from Germany’s Stalag Luft 3 in 1944. I see some interesting parallels between what those intrepid airmen did and what believers in Christ are called on to do today. The idea has gotten around that it is possible to live on good terms both Christ and the Enemy. You can fear the Lord while serving your own gods. The airmen in that prisoner-of-war camp never stopped being Allied soldiers and never stopped viewing their affable captors as their enemy. Likewise, I am grateful to say that I know many believers today who are not afflicted with a cheap Christianity. It’s all too easy to believe the lie “For you the war is over” and just sit back and wait for liberation. The prisoners in Stalag Luft 3 had no such attitude. Nor did they ever underestimate their enemy. They knew what he was up to and what resources he had to prevent a successful breakout. One of the Germans’ ploys was a handbill that said, “Escaping is no longer a sport. Prisoners caught trying to escape will be shot,” which the airmen saw for what it was: a propaganda tool to keep them docile and subservient. Likewise for the Christian, there is a subtle danger in ignoring the schemes of the Enemy. There is one simple reason why we need to know something about our Adversary: the Holy Spirit Himself has given us plenty of information about him. Satan is never happier than when he has convinced God’s people that his presence and power is greater than God’s. Furthermore, these WW II escape artists were completely dedicated to their task. Not all POWs were as likeminded or committed to their sworn duty to escape and thus to harass the enemy. It has been said that only about one-fourth of all POWs were dedicated escapers. Jesus, too, thinned out His followers by His preaching. He spent most of His time not with the crowd but with His faithful few. Finally, I see nothing but a cheerful, optimistic attitude among the Great Escapers. No, they did not paint the clouds with sunshine and make believe that all was easy. Spending weeks in the “cooler” was never a pleasant experience. And 50 of them were murdered by the Nazis simply because they escaped. They must have felt it was worth the risk. So it should be with believers today. Tribulation in this world is a reality, but we can be cheerful because Christ has overcome everything that this old world can throw at us. Death itself cannot separate us from His love. The ultimate lesson? Let’s be risk-takers for God. Let’s never give up the good fight. The Gospel is worth it. 7:10 AM Welcome to my office. This is what you’d see if you ever paid me a visit on campus. I use my office for prayer, study, writing, and especially for meeting with students. It's not large but it's comfortable and efficient. Children really enjoy my candy basket and my sleeping kittens. It's such a blast to see their reaction to the latter. "You may pet them, but please don't wake them up." His non-traditional teaching style frustrated any who were in search of "pat answers." Simply put, Bob Webber taught me to think instead of memorize. He was used of God to set me on a path of life-long learning, and I will forever be grateful. Now that’s my kind of a teacher. 5:33 AM Yesterday we worked ourselves to death on the farm. Again. Well, not really. But it sure felt that way by the end of the day. I want you to know that sometimes we do play, however. I had just washed the car when I sauntered down to Hidden Valley to find Nathan, who had gone to check up on the goats and cows. Here's what I found. Most of these goats are due to be mamas again very soon, and they just love their goatherd. I could tell you stories about each of these precious animals, but I'll just say a brief word about Snowball (she's on the right of the photo). She and her brother Midnight lost their mommy when they were only 3 days old (do you remember? ), and so they were bottle fed for about 2 months. Snowball is unique in that she is the only Nubian in the herd, which means that she's hornless. She's also the most affectionate in the bunch, since she has bonded with humans from a very early age. As I stood there taking pictures Nathan said, "This is the life, isn't it dad?" Yes, Nathan, it sure is. It sure is. 5:23 AM This is way too funny. I just came back from a walk when I noticed where Nathan had parked the tractor. When I asked him about it, he called it "valet" parking. 5:18 AM If you've been wondering about the progress of the new hay barn, wonder no more. We've just completed the first stage of construction, which means we've finished the basic framing and the roofing slats. The next stage is to build the loft in the center of the barn. Below is a shot of some 40 roof poles we cut and hauled out of the woods yesterday. In addition, we somehow managed to cut and drag out 2 huge cedars for posts. I don't know how we did it except by the grace of God. Really, that's like everything on this old farm of ours. We keep doing things we've never done before, learning the hard way and leaning a lot on Jesus. Once we get the flooring put in the loft we'll be able to start on the gambrel roof. If all goes according to plan, it should be a pretty nice-looking barn once we're done. The main thing is to enjoy the process, even if things seem like they take forever to complete. As the Stooges would say, "Step by step, inch by inch...."
11:04 PM Becky and I just got back from our Team Alaba orientation meeting in South Hill. We left the house at 5:30, so it was a long evening. I just snacked on a couple pieces of toast with Becky's delicious homemade strawberry jam. Becky had a bowl of cereal. You can see how busy the mission trip preparation is keeping us, but what a wonderful, God-blessed meeting it was. In the next two weeks you can expect several reports on our upcoming trip, as well as full itineraries to be posted here at DBO. In the meantime, I think you'll enjoy this pic of the team members. 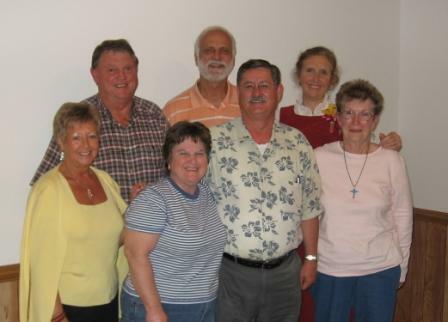 From left to right: Carolyn, Lloyd, Gunda, Dave, Earnie, Becky Lynn, and Sudie. Alaba, here we come! 8:30 AM The latest addition to our home page is called Greek Student: Quo Vadis? 8:25 AM In just 16 short days we leave for the great continent of Africa. Would you begin even now to pray for us? That would mean so much to Becky and me and our 14 team members. Paul asked time and again for the prayers of his friends. He said how the Corinthians, for example, had assisted him much through their intercession: "helping frequently by praying for us" (2 Cor. 1:11). When facing a formidable task it is no shame to ask others to remember you before the throne of grace. I do not ask you to pray that our way will be easy but that Christ will do something great through us. Pray that our team may be granted almost a reckless courage that is ready to serve Christ and serve men without hesitation or fear. Pray that a great revival will sweep Ethiopia from the Muslim south to the Orthodox north. Pray that, should any of us be called upon to suffer for Christ, we may consider it not a punishment but a privilege. Whatever happens, pray that we will live in the presence of Christ, the greatest of our friends and lovers, from whom nothing can ever separate us. Above all, pray that we go to our task, not in our own might, but in the might of God. Thank you. 9:10 AM Almost forgot. 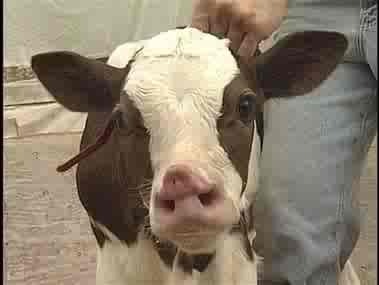 We just added another calf to the herd. And he's the funniest thing, too. Runs away from the bottle. Runs! Until he realizes what it is. Then you can't separate him from the bottle. Aren't animals a blast? 9:07 AM We had a great time at the Ethiopian restaurant last night. We especially enjoyed the doro wat, or spicy chicken stew. Many consider it the national dish of Ethiopia. When Becky and I leave an Ethiopian home or village, our final meal with the people is usually this treat. It's expensive for an Ethiopian family to kill one of their chickens, so we feel very honored when we are served doro wat. In the picture below, the doro wat is in the center. After dinner the restaurant owner presented Becky with a little cake for her birthday. Nice touch. By the way, what do you think of Becky's new dress? She sewed it herself. Last night was its debut. I think it's spectacular. 9:00 AM Yesterday we received a letter from a pastor in Florida containing a check from their congregation to help the Alaba evangelists. A thank you note is on the way. I enjoyed the way the pastor signed his letter: not as "senior pastor" but as "servant pastor." Love it! 12:34 PM He's back!!!! Becky and I just picked up Shiloh. He looks great. The official diagnosis was canine ehrlichiosis, a disease transmitted by ticks. He is taking antibiotics and corticosteroids. Needless to say, I am greatly relieved. We all are. We love all of our animals, but our puppies are special. 1) I had a crazy flashback yesterday to when we lived in La Mirada, California. We had a "huge" piece of property (a third of an acre), and since it was zoned agricultural we could keep all of our animals in the backyard -- chickens, horses, goats, donkey -- and Becky canned the produce from the 21 fruit trees that grew there. It was as close to paradise as we could get smack dab in the middle of the city. We used to buy all of our hay for our animals: good quality alfalfa that sometimes I would pick up and sometimes I would have delivered. I thought about this yesterday when I was picking up 80 bales of excellent horse-quality hay from a field that Nathan had just raked and baled. I never thought in a million years that I would be delivering bales rather than ordering them, but here we are. I thank God that I have the physical strength and health to do this kind of work. I can see now why so few farmers square bale anymore. It's ton of work. Good, healthy work. 2) All of our summer crops have now been planted, including the corn, beans, zucchini, yellow squash, okra, tomatoes, and carrots. 3) Here Nathan waters the peppers and onions. The weather has been unseasonably warm. At the same, it's been very humid. Feels a lot like Hawaii in fact. 4) You never know what you'll run across on a farm. Here's the view that greeted us this morning as we looked out our front door window. Now Mary, you live at Nathan's house, remember? Not our house -- Nathan's. 5) Here's the best news of all. Our precious puppy Shiloh has been in the animal hospital for 3 days suffering from paralysis of all his limbs. But it looks like he might be coming home today. The vet has pretty much ruled out spinal damage or a stroke. It appears that a tick bite has caused all the (temporary) damage. Are we thankful to the Lord or what! We miss you, Shiloh. See you soon! By the way, today is my beautiful wife's birthday. I'm taking her to the Ethiopian restaurant in Raleigh to celebrate. 7:13 AM Great news! The publishers of the Russian version of Using New Testament Greek in Ministry have volunteered to donate copies of the book to my Ukrainian students this summer. I'm told about 40 copies will be needed. A big "thank you" to Smirna Publishing House! 7:05 AM The student papers in Greek exegesis have contained some real gems. Here's the conclusion to one of them (used by permission). Note the emphasis on the "community" aspect of sanctification. Paul’s entire letter is written in the context of the local church in Thessalonica. The nature of what Paul writes throughout this letter is in regards to believers that are living life together in community. They are to live to please God together in community, encourage one another in community, abstain from sin in community, show brotherly love to one another in community, and fulfill many other exhortations Paul gives them to live as a believing community. So now, in light of this sanctification, this is an act that God is clearly carrying out, but the recipients of this sanctification are the many members of this believing community. Their sanctification is also a process that must be carried out in community. God uses the means of a local church to work in the lives of his people, and surely sanctification is such a work. The lone Christian will strive in vain to obtain the sanctifying work of God outside the community found in a healthy local church. 9:54 AM The latest addition to our home page is called The Buck Starts Here. 9:23 AM I've enjoyed reading Alan Knox's discussion of 1 Corinthians 14, haven't you? In the early years of Christianity the person who chose to become a Christian chose to belong to a local fellowship. It was small, intimate, home-based -- a place where people really knew and loved each other. Our huge congregations today tend to be aggregates of strangers. We are no longer closely bound together. Even the physical architecture of our "sanctuaries" makes intimacy unlikely. We come to church, find our pew, and wait for the "worship" to begin. In the little house churches of the New Testament, fellowship was a natural thing. It is easier, I think, in a large congregation to drift into a kind of selfish Christianity where we are Christians "in isolation." We come to church not to give, not to make our contribution to the life of the church, but simply to receive. The early church believed it was a Christian duty to encourage one another. The important thing was not words but deeds. Today, it is likewise the Christian's duty not only to draw from the community but to put into the community. This is perhaps the greatest truth we can glean from 1 Corinthians 14 -- that every spiritual gift is designed, not for the glory of the individual Christian, but for the good of the whole. Thanks, Alan, for calling us back to this timeless truth. I suppose the challenge now is to flesh it out in ways that please the Head. 5:10 PM Jason Hall has written a fine overview of our recent conference on the last twelve verses of Mark. 5:03 PM A big Wednesday shout out to one of my Greek students for bringing me a cup of home-made macchiato this morning. Tasted delicious. Thank you! 4:55 PM Having an incurable addiction to neologisms, I am relentlessly on the lookout for innovative or unusual lexemes. The latest to be added to my stockpile of lexical delights is "cretinocrity" (found at the LRC site, in case you’re interested). What a great word. Perhaps it derives from Titus 1:12? “Liars ever, men of Crete/Savage brutes that live to eat” (see our discussionhere). I just wanted to let you know I listened to your recent chapel message on the podcast and found it very uplifting and encouraging. Thanks for the reminder about the basics of the gospel! The Lord has used my ipod, and the sermons I can listen to, to encourage me as a pastor. Thank you for what you shared from God's Word!! 4:40 PM Anyone who flies the "friendly" skies will appreciate this woman’s ordeal. 4:35 PM Southern Evangelical Seminary is now offering a Ph.D.
1) Here is a grace that can be practiced anywhere. At any hour of the day we can pray for missions and missionaries. 2) There is nothing weak or effeminate about loving the lost. Anybody can complain and criticize. Great souls are truly caring. 3) Christ wants no patronage from the world. His work must be done by His people in His way. Above all, He must have submission. 4) We need believers who will witness for Christ even if they land up in prison, like Paul and Silas. If this happens, you’d better expect some earthquakes, though. 5) All men will know that we are Christ’s disciples if we love one another. Not if we look religious on Sunday or sing in the choir or serve as a deacon or (even) teach New Testament Greek. The badge of Christian discipleship is Christian love, and that’s why missions is so important. 6) What is our message? The grace of God that changes everything and overcomes the worst sins and circumstances. 7) Is missions your number one priority? By “missions” I mean sharing the love of Jesus with others. Many of us dabble in many unimportant things. I still do (I say this to my shame). Like Paul, we need to be going in one direction rather than frittering away our energies aiming at everything. 8) There is real freedom in Christ. Even freedom to be yourself. This is a day of uniformity, and individuality is gradually being squeezed out. A true Christian can retain his or her own personality and temperament. In fact, I say, “Viva la difference!” Despite our differences we can all work together for the Gospel. I find that refreshing, don’t you? 5:33 AM The Burji team is ready. Ready to put themselves in the center of the greatest human need they can find. Their faces actually glowed with enthusiasm as we oriented them on the final stage of preparation for their Ethiopian adventure. Their enthusiasm just seemed to bubble up and gush over. We all feel amazed at the privilege and honor of being called of God to this service. We are not doing anything special or unique. We are simply keeping our pledge to do as Jesus would do. Here the village puppet team sets up for a dress rehearsal. Four different skits teach about the nature of God, His love, His plan of salvation, and the Christian life. Becky neatly arranged what each team member was to carry in his/her ministry suitcase. The team will be well prayed for while they're gone. Here's the Bethel Hill daily prayer schedule. Each day people can sign up to pray for one hour. Becky explains how to eat Ethiopian food. The food was a great hit. Here's your Soyama town team. And here's your village team. I'll post brief bios and specific ministry responsibilities later. 6:50 AM Say a prayer today for our dear son Bereket, will you? He's having cataract surgery in Addis on his one good eye. Thanks a bunch. In Ukrainian krayina means simply "country." The nation borders Russia, Byelorussia, Moldova, Slovakia, Romania, Hungary, Poland, Georgia, Bulgaria, and Turkey. Its territory is mostly a level, treeless plain, called a "steppe." Summer (when I'll be there) is hot and dry, with occasional showers and thunderstorms. Total civilian losses during World War II are estimated at between 5 and 8 million. The Chernobyl nuclear power plant disaster was the product of a flawed Soviet reactor design coupled with mistakes made by the plant operators. Around 150,000 people were evacuated from the contaminated area, and 300,000–600,000 took part in the clean-up. According to a 2001 census, 67.5 percent of the population declared Ukrainian as their native language and 29.6 percent declared Russian. Protestant Christians comprise only 2.19 percent of the population. Protestant numbers have grown greatly since Ukrainian independence. The Evangelical Baptist Union of Ukraine is the largest group, with more than 500,000. 6:17 AM Tonight is our final orientation meeting for the 9-member Bethel Hill Baptist Church team that is going with us to Burji this summer. On the agenda? Prayer, distribution of final trip itinerary, prayer guide, emergency contact information, traveling logistics (tickets, airport information), advice for the final days of preparation, etc. We will also distribute the ministry items to bring in our suitcases (tons of protein bars and vitamins). Puppet show set up and practice starts at 5:30. Ethiopian food sampling for family members is at 6:30. Regular meeting starts at 7:00. 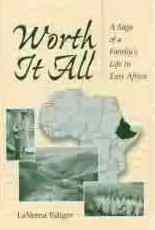 Becky will be busy all day preparing Ethiopian dishes, and I'll be driving down to Raleigh to buy the injera. This is going to be a blast! Before we leave on the 30th I'll publish a detailed itinerary and prayer guide. 6:10 AM Click here to see a sketch of the Basel Cathedral done by a Dresden artist. As an erstwhile artist myself, all I can say is: Phenomenal. One of our favorite pastimes when we lived in that fabled city on the Rhine was attending the organ recitals given in the Minster. Many happy memories indeed! 7:11 PM Heartiest congratulations to Matthew and Liz Rondeau on their new place of ministry. And welcome to the great state of Virginia! 6:13 PM It's been an extremely windy yet sunny day in Mecklenburg County. Flowers are abundant this time of year, so we took some to church with us this morning. Aren't they something else? Here's Nate putting the disc to work in one of our vegetable gardens. Becky can't wait to plant. Then it was off to Oxford to deliver a load of freshly baled hay -- some of the best orchard grass/fescue/clover mix we've ever cut here at the farm. While in Oxford we swapped out the trailers. It's a bit too windy this afternoon to spread it, so that job will have to wait till the morning. One of the nice things about publishing a website is that I can use it to publicly thank the one who is responsible for all this bounty. So, thank you, Lord Jesus!! 1:32 PM We had a wonderful breakfast at Averett Baptist Church this morning for Senior Adult Sunday. Hardee's biscuits and lots of fresh fruit. Being only 54, I went to congratulate all the senior citizens. (Hehe.) Then I drove up to beautiful Charlotte County and spoke at Antioch Baptist Church on "What to look for in a pastor" (the church is again without a pastor). I simply walked the church through Acts 20:17ff., which is a wonderful description of church leadership. Admittedly my sermon was controversial, because I pointed out what Paul said about being self-supporting (not to mention being humble, teachable, loving, tearful, etc.). Pastoring is not to be a job or a profession, a point on which we would probably all agree. Where the rub comes, at least in rural Southside Virginia, is that our pastors tend to last only until a better paying job comes up, or they have a run-in with the congregation, or they just get an itch to move on. As a result they have little or no credibility among the people who actually live in the community. They are never really "one of us." Everyone knows this. The church knows it. The pastor knows it. The New Testament pattern of home-grown, (mostly) self-supporting, plural, shared, equal leadership makes much more sense if you ask me. At any rate, this afternoon we're delivering hay, and Nathan has started discing up our fields in preparation for planting. Yes, this is a day of leisure, but the distinction between work and leisure is, I believe, a false one. Thomas Merton saw this very clearly in his book Seeds of Contemplation (1949) when he wrote: "What is serious to man is often very trivial in the sight of God. What in God might appear to us as 'play' is perhaps what he takes most seriously.... The Lord plays and diverts himself in the garden of his creation, and ... we are invited to forget ourselves on purpose, cast our awful solemnity to the winds and join in" (p. 230). Homesteaders learn to celebrate their leisure through work in the soil. 1:18 PM One of the nice things about our big little city of Clarksville is that it can boast both a Chinese and a Mexican restaurant. The other evening, when Becky and I ate at the Great Wall, I spoke a few phrases of Chinese to the proprietor. Boy was Becky impressed, until she discovered it was the only Chinese I knew (I had several Chinese friends growing up in Hawaii). I do enjoy speaking other languages whenever I have the chance, even though I mostly make a fool of myself. I recall how President Bush once got irritated at NBC's David Gregory for asking President Jacques Chirac a question in French. Bush called Gregory a pretentious "intercontinental." I thought at the time, "What's rude about speaking French to a Frenchman?" I still feel that way. I may know only a few expressions of whatever language I'm speaking, but I'm willing to give it a whack. 8:33 AM Today and tomorrow I'm roughing out a list of topics I want to discuss when I teach New Testament Introduction next year (the list changes every time I teach the course). I fear that there is too much stoicheia in our teaching. Paul's uses that interesting term in Galatians and Colossians. It originally referred to the letters of the alphabet, and hence the "ABCs" of a subject. Paul condemned the false teachers for claiming advanced knowledge of a very profound kind when in fact their knowledge was extremely rudimentary. Real knowledge is found in Christ. I sometimes think that the typical fare in New Testament courses -- the Synoptic Problem, textual criticism, historical background, authorship, setting, date, provenance, purpose, etc. -- can be taught in such a way that seems very advanced but is really a step backward. We infer, "Scripture is all very well, but it is not enough; we scholars alone have the secret knowledge to understand it, and you must follow what we say." The more scholarly the teacher, the more he must avoid the danger of discouraging his students, for he must always show the relevance of what he is teaching for life and ministry. He cannot say, "I wrote my dissertation on this topic, and it is therefore going to be discussed whether it is relevant to the course or not." Or, "To be an educated person you must understand das Sitz im Leben Jesu and Heilsgeschichte." If we are not very careful in our teaching we can easily produce a new generation of "Christian" Gnostics with their own secrets and passwords and recondite knowledge. We can turn Christianity into a philosophy and destroy the faith we are trying to defend. It is appalling how often and where this evil business shows up. It is discouraging to find that what a certain teacher said to you is exactly the opposite of what the Bible teaches or else is totally irrelevant. Alas, New Testament scholarship has its impurities and degradations; but it also has its nobilities and excellences, and it is the latter that we must always try to focus on. The apostle Paul is quite clear on this: "Whatever is true, whatever is honorable, whatever is fair, whatever is pure, whatever is commendable, if there is anything of excellence and if there is anything praiseworthy -- keep your thoughts on these things" (Phil. 4:8). And then our example must back up what we say: "Likewise, what you've learned and received and heard and seen in me -- keep practicing these things" (4:9). As teachers we must be willing, I think, to deny our own ambitions, our own prejudices, anything that centers on ourselves, for the blessing and well-being of the church. 8:42 AM 25 days and counting. 8:40 AM You learn something new every day. In John 14:6, Jesus says: "Ego sum via et veritas et vita; nemo venit ad Patrem nisi per me". The alliteration in the Latin "via" (way), "veritas" (truth), and "vita" (life), strongly suggests that John's gospel originally was written in Latin. And all this time I thought John wrote in Greek. 8:34 AM I never had the opportunity to study under Karl Barth when I was in Basel, though I did take courses with his son, Markus. Still, I read the senior Barth aplenty, especially his Church Dogmatics (in German), and I came away with a great appreciation for Barth's exegetical acumen. While not agreeing with his theology in many areas, I have the profoundest respect for the stand he took in leaving Nazi Germany in the 1930s and for his willingness to be self-critical, even challenging his own church's views on pedobaptism. 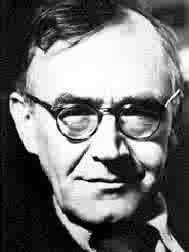 Whatever you think about Barth, I think you'll find this appraisal interesting and enlightening: 10 Reasons Why I Love Karl Barth. 8:30 AM Nathan just snapped a photo of his refrigerator. Yes, each carton is full of farm fresh eggs. The Lapsley girls give Duane [the Edigers' son] quite a time, so today he decided no girls for him. He would be a bachelor. Merle [his brother] popped up, "I'm going to be a bachelor, too. Daddy, what's a bachelor?" Betty [Mrs. Lapsley] has been ill for some time, and the nurse here thinks it could be serious. Yesterday, I did their laundry, and today, we got them ready to go. We felt she should go for more help sooner, but Tex [Mr. Lapsley] thought it could wait.... I feel sorry for Betty. This morning she said, "I must be a stone that needs more polishing." She has had a lot of health problems.... We hope she gets help soon. Last Sunday, we rode to a church service at Soyama. Merle was on a mule with me and JoAnn rode with Herb. It took us about an hour to get there.... It was such a thrill to sit among the Christians in a native church. Dry grass had been spread on the dirt floor, and we all sat down on the grass. About 25 people came to worship.... We had a wonderful time of fellowship. If you'll permit me one final word about the Edigers and the Lapsleys. Theirs was a generation that put their hand to the plow and never looked back. They let the dead bury their own dead and set out for a strange new world with no secret plan of retreat when the going got tough. They had decided to follow Jesus, "no turning back, no turning back." Even though forced by ill health to return to the States the Lapsleys continued to sacrificially support the work in Ethiopia. Would that we were as dedicated. 8:10 AM On this Cinco de Mayo I'm sitting here thinking about my Sunday message and saying to myself, Where in the New Testament is there the "well-crafted homily"? Where is the excellency of speech that is so highly sought-after in preachers today? Does not the beauty of New Testament preaching lie in a completely different direction? Should not our preaching be like that of our Lord and His great apostle? Jesus spoke in the very simplest language with mundane illustrations. Paul eschewed the excellence of human oratory. I want my public speaking to be powerful (in the Spirit) and passionate (in the spirit) but I also want to be understood by the commonest man from the workaday world. May God forgive me for the times I've sought to dress up the simple Word in the gaudy garments of worldly wisdom. 1) I was born in 1952 in Hawaii, a product of America's middle class -- George Orwell's "lower-upper-middle class" that was so ubiquitous throughout Hawaii in the first half of the twentieth century. 2) In a plot twist worthy of Evelyn Waugh, the Hawaiian-born surfer ended up living in Southern California for 27 years before becoming a farmer in Virginia. 3) I'm a card-carrying member of the SNTS but rarely have time to attend its meetings (too busy on mission trips). 4) In my previous life I had an almost comically vast palette of sports and hobbies. Now I just muck horse manure and butcher cattle. 5) I've never had grandiose schemes to become rich and famous. 6) I've translated all 27 books of the New Testament from Greek into English for the ISV New Testament. It took me a year of full time work. Nothing will tap you out like translating the Word of God. 7) I write a blog as a kind of daily diary. I also visit other's websites and find enrichment all around -- as Paul put it, "mutually encouraged by each other's faith" (Rom. 1:12). 8) I have a special empathy for doctoral students. Post-graduate studies can be teeth-grindingly hard. 9) I think we have a good deal to learn from the early church. These believers had "been with Jesus" (Acts 4:13), and their transformed lives had made a huge impact on the rest of the world. I believe that we have to go back to the Scriptures if we are to see genuine revival today. 10) I believe that the media holds incalculable potential for good, but I watch very little TV and listen to very little radio. For me, the web is where it's at. 11) Opportunities for me to travel have not been lacking, though I would desperately like to visit China and Latin America someday. 12) I love classroom teaching. I believe it is the greatest joy in the world. Luke 6:40 is my favorite verse as a teacher. (I only wish I could live up to it). 13) I suppose my educational background might seem impressive to some, but my greatest education was not gained from books or lectures but from simply reading the Bible, which speaks volumes to anyone who will study it attentively. 14) I enjoy being in churches where there is a "fellowship of leadership," that is, where the leadership loves and trusts each other. I see so many pastors caught up by status anxiety and bleeding ulcers. I want to see them become more God-dependent, stripped of outward evidence of "success." Effective service for Christ is more a matter of attitude than aptitude. If you've got the disease of carnality, people know it. They can see through our positions, our power, our possessions. Only a broken container lets the radiance of the treasure inside penetrate the darkness. Perhaps Peter had this in mind when he wrote 1 Pet. 4:8-11. 15) My greatest role models were my professors, especially Harry Sturz (Biola) and Bo Reicke (Basel). Not that they practiced a folksy, feet-up style of mentoring. But they were genial and kind-hearted, and (thank God!) Prof. Reicke was open to working with American students (we had not yet begun flexing our muscular unilateralism). By the way, students: you'll find yourself emulating your professors whether you like it or not. 16) I suppose the most crucial aspect of my life is the partnership I enjoy with Becky Lynn. Like Priscilla and Aquila, we are a team in that we do everything together -- a polychrome, if you will, rather than a dull monochrome. Like Saul of Tarsus (who gave up his intellectual arrogance though not his intellectual prowess), I'm a recovering New Testament "scholar." My message is now simply, "God so loved the world that He gave His only Son." I have not always been in the Gospel business but I am now, to the hilt. 17) One last item. It's okay to call me "Brother Dave." I much prefer that to Dr. Black. Even Jesus delights in identifying with men and does not hesitate to call us "brothers" (Heb. 2:10-11). Indeed, earlier precedents can be found for condemning such treatment. For example, in the 1945 trial before a British military court of Eric Killinger and four others, three of the accused were found guilty of committing a war crime in that they were together concerned as parties to the ill-treatment of British prisoners of war. The accused had been members of staff at Dulag Luft, a Luftwaffe interrogation centre, the function of which was to obtain information from captured Allied aircrew. The Prosecution alleged that excessive heating of the cells took place there for the purpose of obtaining information from PoWs which they were not bound to give, as well as a lack and refusal of medical attention and, in some cases, blows. If excessive interrogation took place at Dulag Luft in Oberursel in the 1940s, it was clearly not the practice of every interrogator, as this website indicates. Go here, here, here, here, andhere also (the final link is in German). Along with Cleon Rogers, Jr. (of Rogers and Rogersfame) I attempted to visit Dulag Luft a few years ago when I was teaching at Tyndale Seminary in Holland. We ran across Camp King but saw very little of the original POW camp. I am now collecting further details about the original site in view of a possible visit in the future. 8:55 AM The latest addition to our home page is called Loafs and Fishes. 8:50 AM Look what showed up at my office yesterday. 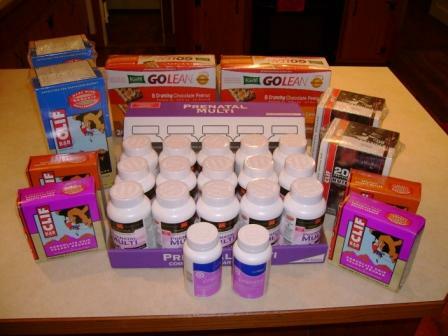 Vitamins and protein bars for Ethiopia. Are Becky and I the most blessed people in the world or what? Pastor Murray led us in a hymn accompanied by Nathan at the organ and Mrs. Murray at the piano. Then we had a time of open sharing, prayer, and interactive Bible study. Wonderful. Pastor and Mrs. Murray have been with us for 12 years. They hail from Rocky Mount, NC. Six years ago pastor Murray had a heart attack, followed by quintuple bypass surgery, then a stroke. In his weakness he exhibits the most wonderful strength, grace, and love. Thomas and Miss Charlotte are our neighbors. They have farmed all their lives. They have been a great help to us fledging homesteaders. I realize there is no "most favored church" status in the economy of God, and that Christianity is a global community, but on the human side it's not wrong to say that there is something special about one's home church. And it is love -- plain, simple, unaffected, ordinary love -- that is the bond that holds us together in unbreakable fellowship. Ours is a caring church. Ours is a giving church. Ours is a singing church. Ours is a mega church ("mega" can mean "great" as well as "large," can it not?). Ours is a unified church. Paul once said to the Philippians, "I am confident that I will abide [from meno] with you and be with [from parameno] you all to help you along the way." I love the Greek word play here. Meno means simply to remain, butparameno means not only to remain but to be willing to come alongside and help out. Those words perfectly describe Averett Baptist Church. The Spirit has shed His love abroad in our hearts in such a way that He makes us live a lifestyle of love, if in the most imperfect way. Folks, I wouldn't change that for the world. Well, I hope you enjoyed your tour. Come again sometime! 8:12 AM This is unbelievable. 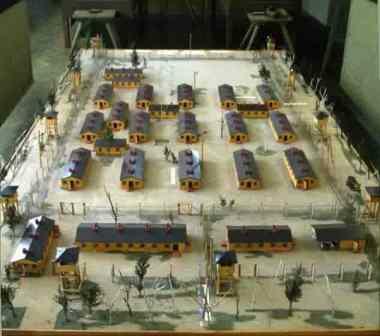 Someone has actually built a diorama of Stalag Luft 3 of "The Great Escape" and "The Wooden Horse" fame. Nifty. 5:35 PM Today I had a nice chat with a student who is thinking about working among the Somalis of Kenya. If anyone out there knows something about this people group, I’m all ears. I did find this website of interest, however. I’m very happy for this young man and I am eager to see how the Lord Jesus will lead him and his wife. The average Christian today is so flabby. The problem is lack of exercise. We allow things in our lives that dull our spiritual sensitivity. We expend our energy in ersatz living, vicariously living off other people’s experiences. God has become a Santa Clause who, like a benevolent butler, exists to pacify our laziness. Health, wealth, and happiness fads flourish while the world dies all around us. Discipleship costs us nothing. Not so these students of mine, and for that I am exceedingly grateful to God. 5:22 PM Would you like to know more about Ethiopia but don’t where to start? Try this overview. 5:20 PM This will be a very busy month for us. On Thursday and Friday we are hosting some close friends. On Sunday I’ll be back at Antioch Baptist Church for their morning service. Next Monday we’ll have our final orientation meeting with our Bethel Hill team. Next Thursday through Saturday a couple from the seminary will be retreating here at the farm. Saturday, May 12, is Becky’s birthday, and the 13th is Mother’s Day. On the 14th the final orientation for the Union Chapel/Tabernacle team takes place. On Wednesday the 16th Becky and I will be speaking about Ethiopia at North Roxboro Baptist Church. On Friday the 18th one of our Burji team members turns 80 and we’ll be attending her birthday party. On the 20th I’ll be speaking at Tabernacle Baptist Church’s annual revival. On the 22nd we’ll be grading our Greek finals in class. Friday the 25th is commencement, and on the 30th we depart for Ethiopia, Lord willing. Before we leave I want to have all my grading completed and my grades turned in. In the midst of all this scurrying about, Joshua 3:5 comes to mind: “Sanctify yourselves, for tomorrow the Lord will do wonders among you.” Our feeble arrangements won’t amount to a hill of beans unless the Lord is in it. 5:12 PM I had a nice surprise yesterday. A student brought me another box of chocolate-covered macadamia nuts. He must have been reading my blog. I'm getting spoiled. 5:01 PM Got a huge blessing from translating 1 John 2:7-14 in class today. John sure tells it like it is: if you don’t love your brother, you hate him. None of us can live in union with Christ and at the same time live in enmity and bitterness toward our fellow Christians. Or, to put it another way, my relationship with my fellow Christians is a pretty good indication of my relationship with Jesus Christ. Those in whom the love of God has been perfected cannot dwell in disunity with their brethren. 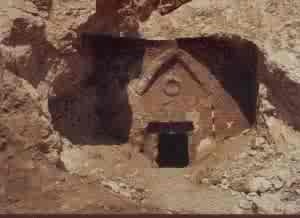 4:32 PM An evangelical seminary in Basel has published an excellent commentary on the so-called “lost tomb” of Jesus (.pdf, in German). 4:16 PM Back home after a whirlwind trip to Wake Forest. I felt uncharacteristically tired the whole time, and I think it showed in my teaching. I didn’t move very much while speaking, which is very unusual for yours truly. I feel better now, and maybe after another day of relative rest I’ll have all 8 cylinders up and running again. Thanks to our wonderful secretaries I had several doses of Ethiopian Harrar coffee to keep me going. Now I need a walk on the farm to unwind and get back my perspective. The weather, by the way, has been fabulous, certainly good enough for Nathan to bale today. He has also been rotating the cattle onto various pastures for better farm management. It keeps the cows grazing different parts of the farm. So far his system is working out well. The real test will come when and if the creek dries up, though we do have a waterer we can use if necessary. I miss seeing the cattle now that they’re roaming in the back 40, but I understand why we're doing it. It’s all a part of a new "moovement" Nate’s started, I guess. 5:57 AM A topic of conversation that came up during our student fellowship last Saturday was the importance of knowing German for doing academic work in theology. I guess it was in 1977 that I first realized that a working knowledge of German was de rigueur for a classical philologist. How then did I learn the language? Quite simply from a book. Or, rather, several conversational German grammars. (They're all basically the same, of course, but variety is the spice of life, right?) But how did I learn to speak the language? Ah, that's another story altogether, and the answer is: Mr. Paul Mittmann. Herr Mittmann had emigrated to Anaheim, California after WW II, as did so many others from Germany after the war. He got a job and also pastored a small Lutheran Brethren congregation there, and since it met early on Sunday morning I could attend its German-speaking service before going to my home church in La Mirada. Eventually we began to meet together weekly for grammar and pronunciation lessons. Like the language he was teaching, Herr Mittmann was hard, clear, and sharp as a winter dawn. Hailing from East Prussia, he spoke impeccable Ost-Preussen, considered by many Germanophiles to be the purest form of the language. Paul Mittmann was neither talkative nor taciturn, neither sanguine nor phlegmatic, neither excitable nor lugubrious. He kept an even course and held just the right temper in his relationships with everybody. Without arrogance, he yet exuded confidence and had a remarkable talent for sorting out complicated issues by cutting through them with a swathe of quiet logic. We discussed in German many topics together, from theology to his wartime experiences. He had been inducted into the Wehrmacht when he was 18 and had seen action on almost every front, from Poland to Italy to France. After the war he and his wife lived under an overturned military vehicle for a year in the western part of Germany, along with hundreds of thousands of others of DPs (displaced persons) who had fled from the east in 1945. How he became the pastor of a German-speaking congregation in America, I am not sure; but he was an excellent speaker and a wonderfully caring personality. Once, after I had been attending the church for several weeks, he turned to me and asked, "Would you like to read the Scripture next week?" That really put me on the spot, but as I was blown away by the special emphasis he had given to the public reading of Scripture I found myself the next Sunday reading from the Luther-Bibel during the Gottesdienst. Not long afterward he had me preaching in German during his absence, much to the delight of the aging congregation who, I feel, were happy to have a young person in their midst and thus were willing to overlook the blunders of a fledgling speaker. And so there was Herr Mittmann, undeniably, indisputably German, and above all else a fellow believer in Christ, to my astonishment taking me under his wings as a master would his apprentice. I have often wondered what my experience in German-speaking Basel would have been like had it not been for his willingness to help out an American student whose father had been wounded in 1945 while fighting Germans. There is no question in mind who profited more from this relationship, and I shall forever be in his debt. I mention all this simply to remind us that we can live out our Christianity in numberless ways, even by tutoring another believer in a foreign language (or in math, or in science, etc.). I know many of you are already doing this, and that fills me with great joy.